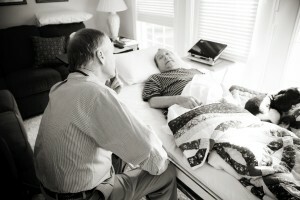 More than 90 percent of hospice care is received at the patient’s home. Hospice & Palliative Care of the Piedmont is available wherever you reside–in your private home, in nursing homes, assisted living facilities and in area hospitals. Care includes visits from the hospice nurse, chaplain, social worker and home health aides as well as 24-hour on call nursing support.